Working for your beloved football club sounds like a dream job, doesn't it? Well, not if the job is to run a bogus Facebook group promoting your crazier than a bag of cats owner. Leeds United fan Scott Gutteridge alleged, in a Daily Mail exclusive last night, that he received £500 per month from an unnamed member of the Leeds United front office to work on a pro-Massimo Cellino Facebook group called ‘In Massimo We Trust’. The much despised Italian owner of the club has hired and fired managers at will during his time at Elland Road, has several convictions in his homeland for financial impropriety and once fired a goalkeeper whose birthday fell on May 17, with seventeen being a number Cellino that finds to be unlucky. The Facebook group, Gutteridge claims, was setup to change the fans perspective of their controversial owner and cast him in a more positive light. 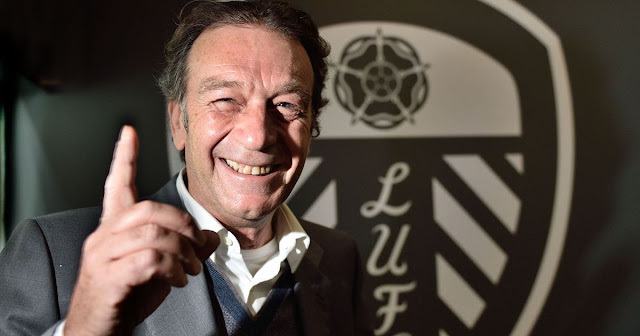 "I was approached because of my IT/website design background by an unnamed member of Leeds United to assist in the creation and running of a group called Cellino In (now known as In Massimo We Trust). I was told I would receive a nominal payment depending on activity and contribution. It balanced out at £500 per month. The club felt that a positive influence from a small number of fans could go a long way and sponsoring this group would be worth their time. I started to realise (though) what was going on behind the scenes. This was nothing more than propaganda with the wrongdoings being covered up by the club using the Facebook group to counter arguments. Leeds is a club rotten to the core." Leeds have officially denied Gutteridge's story, but unnamed sources from within the club have said that he's telling the truth. I know who I believe. Does the Colour of Your Team's Kit Matter to You?